©Photo courtesy Jim Markland Rowbotham | Dancer: Ashley Whitehead, Coal Harbour, Vancouver, B.C. Build momentum in your preparation. Your preparatory steps (like a run, glissade, or chassé) should be light and lifted. Take flight with a strong push from plié. Heel, ball, toe is super important for power and for and a pretty pointe. Split quick and and split hard. Timing is everything in a good leap, the legs should shoot out at almost the same time. Get your torso over your hips. Leaning too far forward reduces your height but leaning too far back holds you back. Know what you want your leap to look like. Should it burst or dart or float effortlessly? You need to be able to picture what your jeté or saut de chat will look like mid-air so that you can adjust and direct your flow of energy accordingly. Take a deep breath. Doing so at the peak of your arc can make it seem like you’re soaring. Don’t tense up. Your arms especially should travel smoothly and softly through specific positions (usually from a classical 1st) rather than go stiff or flail around. Stretch. If you can’t achieve a split on the ground, it’s unlikely you’ll achieve it in the air. But don’t stretch too much. Flexibility is important but there’s more to it. You need strength and lots of control too. Good core strength and alignment is critical. Stay lifted on the landing. Avoid collapsing on touchdown. All together now… core and alignment! Focus more on the “second” split. The first leg is thrown relatively low (especially when you’re first learning) – the second split is the one with all the power. It’s all in the timing. Your working leg has to move fast to get from the front to back. Practice the switch with a just hop first. When you’ve got the timing add the battement of the second leg. Remember, when the leg is extended front, your second leg is still under you and you’re in the air, as the leg switches the hopping leg thrusts up, hitting the split at the same time as the initiating leg. We hope these tips will help you soar every day of the year! Do you have more leaping advice? Your head is very heavy, it helps to think of your head rising up as you jump – as if you are bursting through the clouds. Once you get above the clouds it’s good to also imagine that you have time to look around before you come down. Anticipation in the head & eye line is important, especially on jumps with a turn or change of direction. 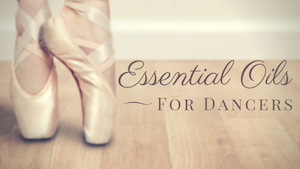 Understanding of different depths in plié helps with both dynamics & musicality. When lifting off through the heel ball toe action the floor pressure should also be utilised to keep the heels well forwards so the turnout doesn’t lessen. Making sure your torso is keeping up with your moves is good. If you don’t you can end up looking really awkward, as stated in the article. You also want to make sure you are standing up straight for most dances, slouching can also make you end up looking off.